LOS ANGELES (KGO) -- World Cup champion and UC Berkeley alum Alex Morgan will be the first woman ever to be on the cover of EA Sports' FIFA video game series. This follows the company's announcement earlier this year that women will be included in the video game for the first time. The newest edition in the popular game franchise, which will be released on Sept. 22, includes 12 women's national teams for the first time. That includes Morgan and the U.S. team that won the Women's World Cup earlier this month. U.S. Women's National Soccer team star and former Cal Bear Alex Morgan chatted with ABC7 Sports Reporter Colin Resch on the ESPYS red carpet in Los Angeles Wednesday night. 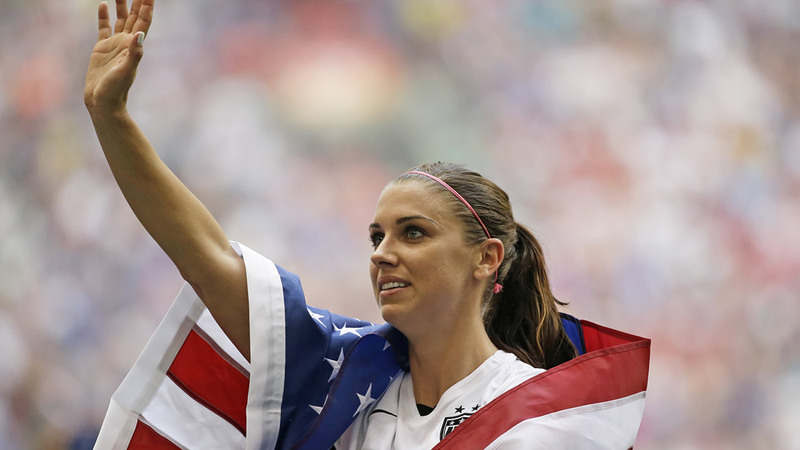 "I know people all over the world play this game and I'm really excited that FIFA 16 is putting such an important spotlight on women's soccer," Morgan said in a statement. "And now to share the cover with today's greatest player is surreal." Morgan will join Lionel Messi on the U.S. version. On the Canadian version, Messi will be joined by striker Christine Sinclair. 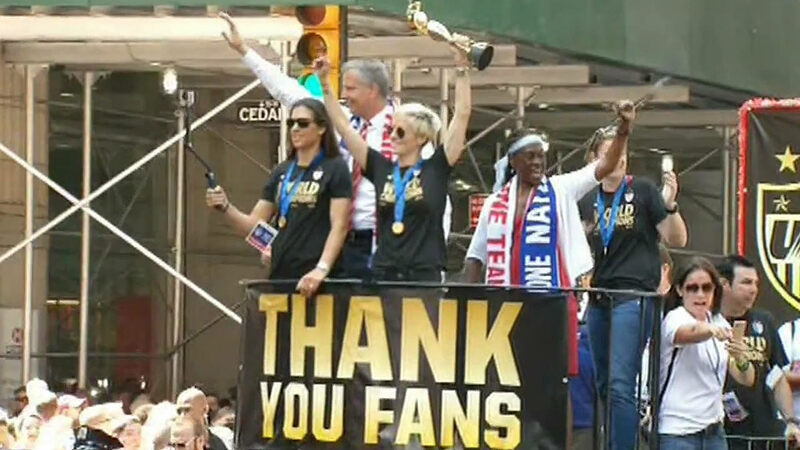 The World Cup champion U.S. women's soccer team are being honored with a parade in New York City. EA Sports also sent its mobile head-scanning unit to tournaments and matches worldwide to capture player's faces and hairstyles. The idea was to make the players and their movements as authentic to the women's game as possible. In what was the first New York City ticker tape parade for a women's team sport, The US Women's Soccer Team was honored Friday for winning the Women's World Cup.